Wine writer and reviewer Viki Eierdam—who blogs on Savor, Sip and Sojourn—recently paid us a visit and tasted through our current wine lineup during whirlwind tour through the Willamette Valley. 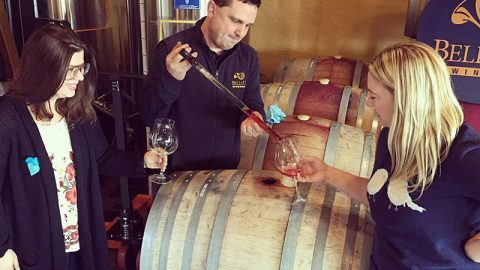 We were delighted to discover this write-up posted last week, “Willamette Valley Taster: A Day of Wine and an Overnight in Style,” and that we were included. A lot of wineries in the Valley claim to be boutique. We’ll go ahead and acquiesce to that and call BELLS UP WINERY a nano production. 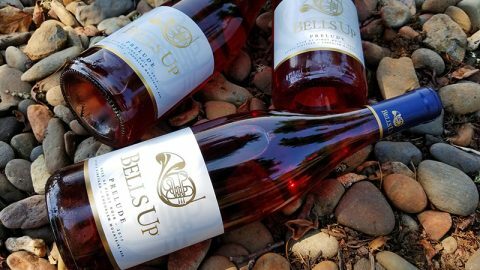 At fewer than 400 cases a year, every visit to Bells Up is a personal experience. All tastings are by appointment only but don’t let that put you off. They’ve had people call from the road. Hey, if they’re there and they’re dressed, why not pour some wine and make a connection with other folks who love honesty in a bottle? 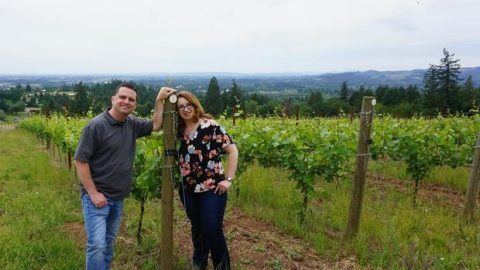 The story of how this warm and inviting couple transplanted from Ohio where winemaker, David, was a corporate attorney, is one we can all relate to but few of us have the nerve to ever do. Their newly-constructed tasting deck takes advantage of the dramatic views in the Chehalem Mountains AVA. 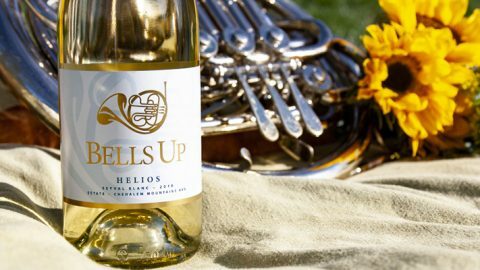 Tasting tip: Bells Up will be no appointment necessary for a pre-Memorial Weekend Open House on May 20-21 and again Memorial Weekend May 27-May 29. We hope you’ll take Viki’s tip, and come see us from 11 a.m. to 4 p.m. during those five days of open houses! 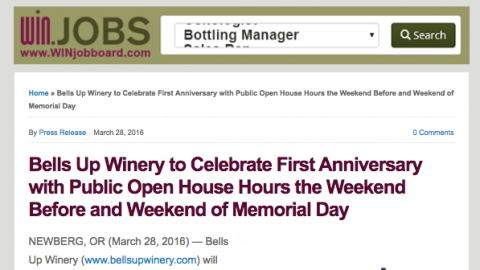 You too can review Bells Up Winery on TripAdvisor.com, just like these kind folks. Send us an email and we'll get back to you, asap.